Opponent must flip two coins when attacking. If either land tails, the attack misses. Flip a coin. 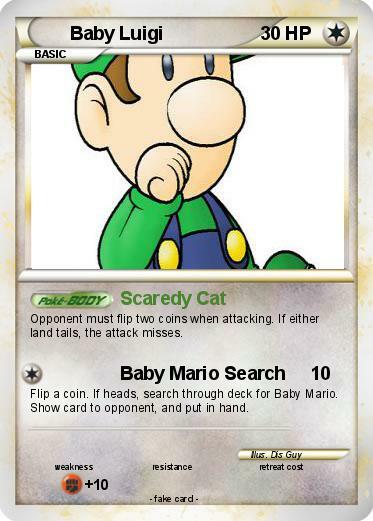 If heads, search through deck for Baby Mario. Show card to opponent, and put in hand.